I was pleasantly surprised this week when I got a huge bag of lemon balm. I had recently read a lot about it in one of my favorite hippie books and was excited to see what I could try. The first thing I did was make myself a cup of tea by ripping about 5 leaves and adding that with some fresh ginger to my tea ball, then letting it steep for 10 minutes. Very subtle and delicious! 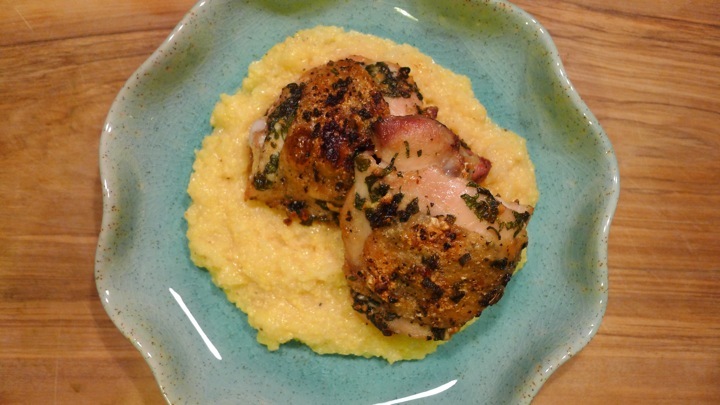 The next thing I made was this lemon balm and sage chicken. 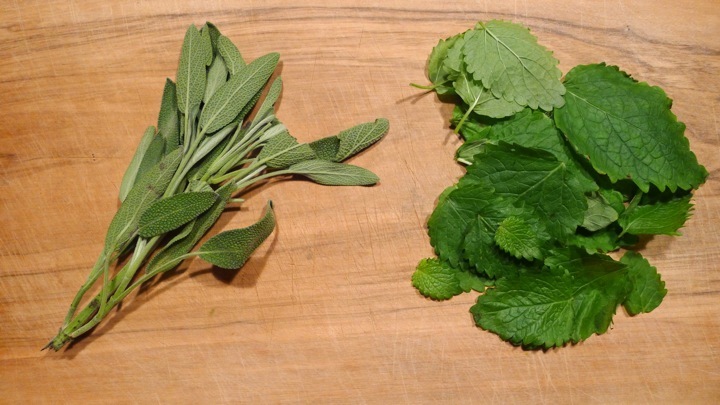 I had a ton of left over sage and saw it paired with the lemon balm in a few recipes, but I am sure it would be great with thyme or rosemary if you don’t have sage on hand. 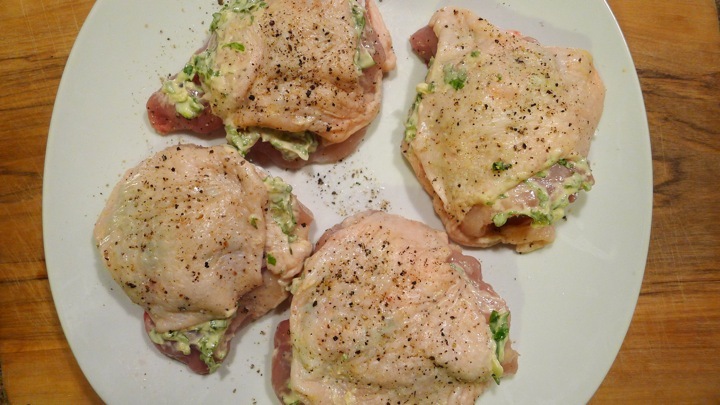 You could eat this chicken plain or over pretty much anything. 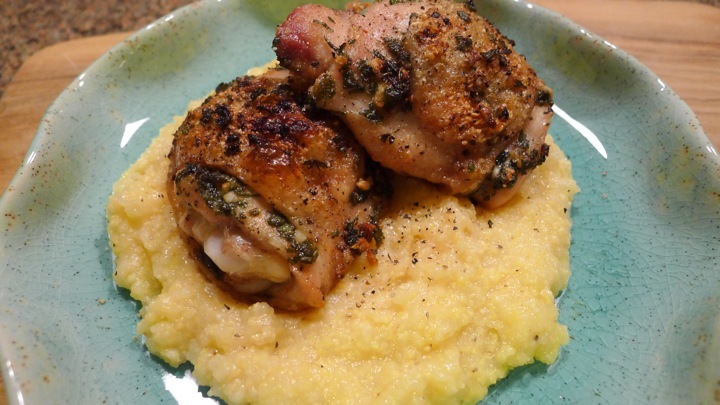 I had some polenta and used that with a little Parmesan cheese mixed in. YUM. Preheat your oven to 400 degrees. 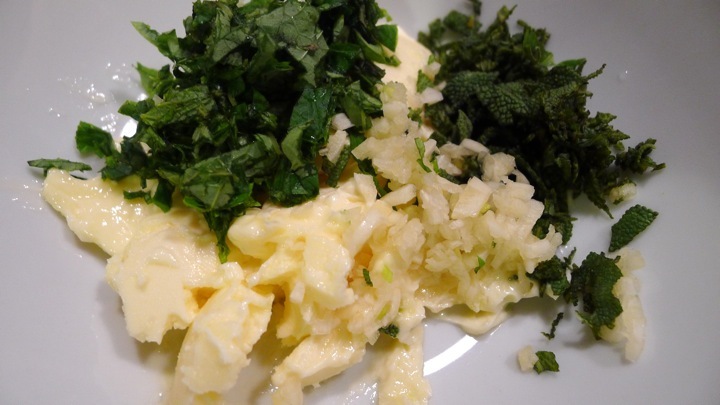 In a small bowl, mix together the herbs, garlic and softened butter. Lift the skin of the chicken and spread the butter mixture underneath. 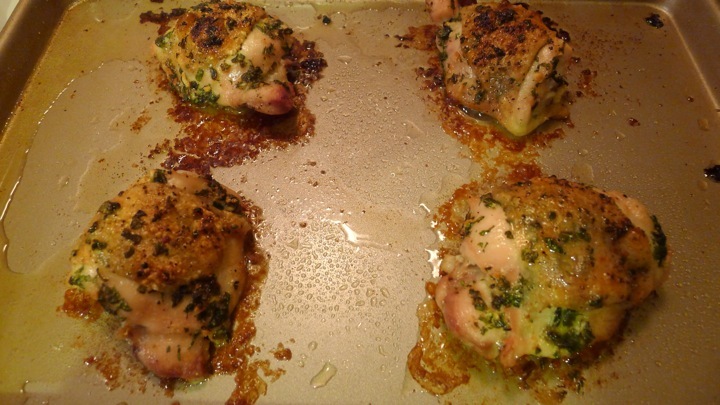 Place the chicken skin side up on a baking sheet and brush with olive oil until coated well. 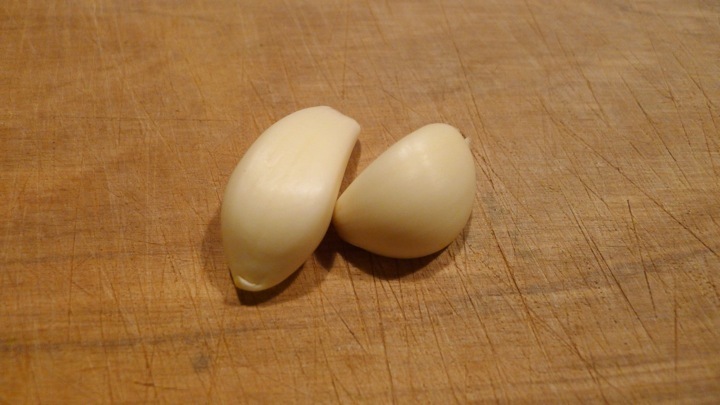 Sprinkle with salt, pepper, and any loose herbs you may have leftover. 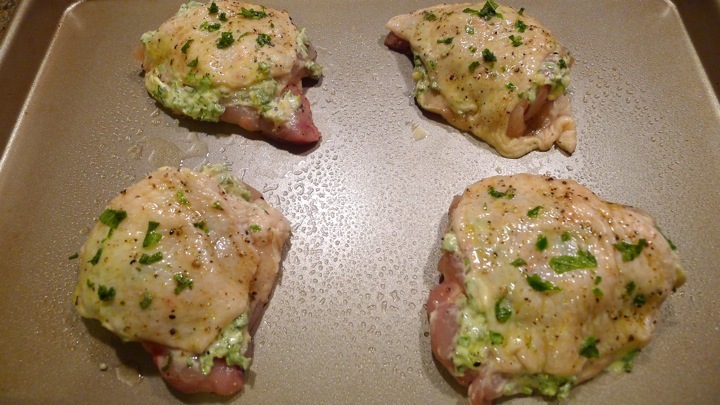 Place the chicken in the oven for 30 minutes, or until golden brown. To get a good crisp on the skin, turn off the oven and spoon the chicken drippings from the pan over top of the chicken, then throw on the broiler and broil for a minute or two until skin is crispy!